GENTING is forming lower high & lower low. Will it breakout the downtrend line resistance? Immediate resistance @ RM8.21 level. 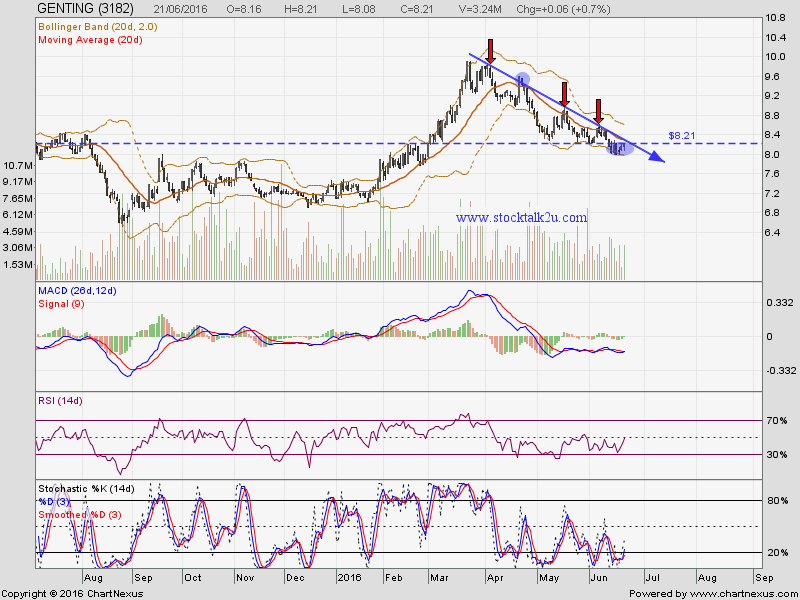 Subsequent resistance @ RM8.60 level. Immediate support @ RM8.00 level. 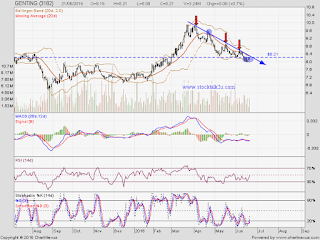 Next support @ RM7.75 level. Let's watch closely for breakout opportunity.